Delta gives customers first-ever map view of bag’s journey | UNIGLOBE Direct Travel Ltd.
Maps are an integral part of travel but for those taking to the sky with checked bags, being able to see a piece of luggage and its journey through the airport and from one plane to the next has been lacking. 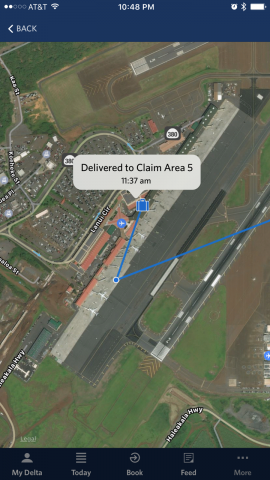 That’s changing for Delta customers who now have a map view of their bag’s last scanned location on the Fly Delta mobile app. When a customer wants to see the location of their bag on the map, the display starts by showing a zoomed out map of the U.S. as the bag travels from one airport to the next. The map then automatically zooms to airport view and users can follow their bag along its journey via pins, with the last known location identified by a suitcase icon. Tapping any of the pins or the icon will provide additional text information about the location of the bag. 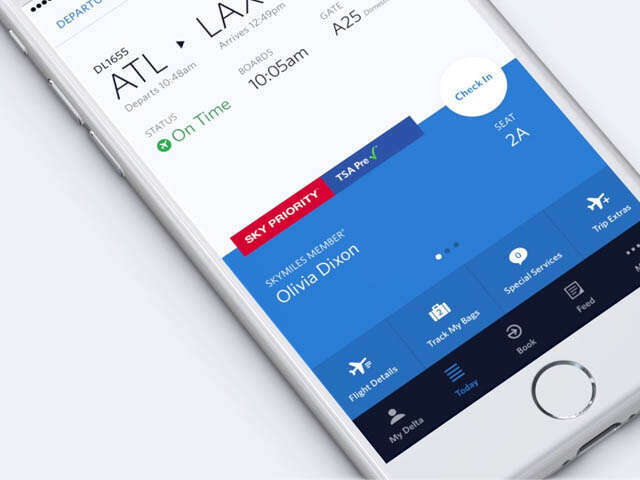 Push notifications will sync with the app later this year and offer Delta customers down-to–the-minute updates on their checked baggage.